Ergonomics are great, it is decently sized and very well built. The lens hood isn’t too big either. In my opinion the lens is usually overpriced and I wouldn’t recommend it on the a7. There is also an optically different version with 49mm filter thread. Get the lens at ebay.de or ebay.com | ebay.co.uk (affiliate links) and support my work here. At f/2 it has rather low contrast with very noticeable vignetting and busy bokeh at shorter distances -I enjoy the rendering none the less. Decent but not great at f/8. From the reports I read, the younger MD version with 49mm filter thread is a better performer. Get the lens at ebay.de or ebay.com | ebay.co.uk (affiliate links) and support my work . There are several Minolta 2.8/35 lenses, my copy has a 49mm filter thread and carries the Rokkor in the name tag which distinguishes it from the later “plain MD” version which is optically the same as far as I know. 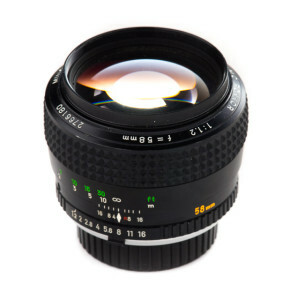 Get the lens at ebay.de | ebay.com | ebay.co.uk (affiliate links) and support my work . A very small and light lens, built quality is a little less nice than that of MC or MD lenses but still good. One of Minolta’s most often underestimated lenses with a great price/performance ratio. Low contrast with nervous bokeh at f/1.4 so I use this aperture only when it is very dark. There are two optically different (but similar) versions of the lens, you can tell them apart by the diameter of the filter thread, this version has a 55mm diameter and the younger one has a 49mm filter thread. Improves at lot by f/2 were it is quite nice for portraits and closeups. A little less resolution than other normal lenses but still very shapr stopped down. I think this is one of Minolta’s most underrated lenses. f/1.2 shows strong “character” (lots of spherical aberation, not very smooth bokeh), I don’t use it often. f/2 is great for portraits with good sharpness in the center and exceptional bokeh. great for landscapes at f/8 but prone to flare. A little larger and about twice as heavy as the 1.4/50mm lenses. Built quality is top notch. Get the lens at ebay.de or ebay.com | ebay.co.uk (affiliate links) and support my work. At f/2 most of the image is very sharp, the corners show good resolution but low contrast. Bokeh is not very good. A very small and light lens. 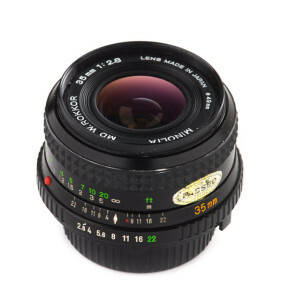 I think it is a great lens for landscapes, I wouldn’t recommend it as a portrait lens because of the bokeh. built to the highest standards, beautifully smooth focusing ringbut a bit bulky. I think this is a very good portrait lens which is also a capable landscape lens . If I was shooting more portraits I would consider buying it. Good resolution with moderate contrast at f/2.5 and great bokeh make it a very nice portrait lens. It falres easily though. Stop it down to f/5.6 and it is very sharp from corner to corner. 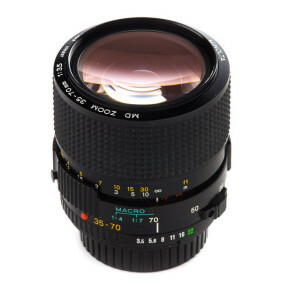 This is a very good lens which is often underestimated. I owned the MD Version of this lens for a while and found it similar in it’s optical performance, maybe a bit contrastier at f/2.5 but I liked the focusing ring of this version better. Get the lens at ebay.de | ebay.com | ebay.co.uk (affiliate links) and support my work. It is an enjoyable lens but it is also very big and not that good from a technical point of view. A very sharp lens with very good quality from f/4 at every distance and no lateral CA. Bokeh is only average though. I didn’t like the rather stiff focusing double helicoid and very short focus throw at longer distances. This is a solid lens but the 2.5/100 is a little bit sharper, has nicer bokeh, less bokeh fringing and less CA. Stopped down to f/5.6 sharpness across the frame is very good but you have to correct the CA. Minolta built several different 2.8/135’s over the years. Among the MD versions there are two different optical designs. My copy has 4 elements and weights about 560g. There is a younger version which is about 200g lighter which uses 5 elements, from what I have read they are very close optically so both are decent buys. The whole image is very sharp from f/4 and excellent by f/5.6 but bokeh fringing can be a problem and CA control is only average. Focusing is a bit stiff because a lot of mass has to be shifted, other manufacturers like Canon offered IF lenses which are easier to focus. At f/3.5 the bokeh is rather busy and the contrast is reduced. The corner-performance is very good for a zoom lens, my Zeiss 4/24-70 had weaker corners.They are weakest at 35m and excellent from about 40mm. I think it’s performance is remarkable for a zoom lens of it’s age and I like to use it for city trips when I prefer it’s versatility over the shallower DOF of prime lenses. The 1:4 macro mode at 70mm is handy as well. There are three versions of this lens and according to artaphot.ch Version 1 is optically inferior. I can recommend this last generation which is the only one with the macro mode. If you are still shooting film you can of course use any Minolta MC or MD lens on a wide range of old Minolta SR film-cameras like the Minolta XD-7 or X-700. No adapter needed. Because of the flange-focal-distance of Minolta SR lenses all adapters for DSLR cameras either contain an optical element which will reduce image quality a lot or you lose infinity focus. I wouldn’t bother to use one of those adapters. Mirrorless cameras have a much shorter flange focal distance and you can buy adapters for Fuji-X, Sony-E, Micro Fourthirds and Samsung NX. You won’t lose image quality to the adapter, you can focus at infinity but you have to turn the aperture- and focusing ring yourself. Your camera has no control over them. I usually recommend Sony Alpha 7 cameras for the use with older manual lenses because they are the only ones with a full frame sensor and in my experience most older lenses work best on the larger sensor. But they still work very well on smaller format sensors as well, here are some of my older pictures all taken with a Sony Nex. Here are links to adapters for Minolta SR to Sony E mount cameras: Amazon.com | Amazon.de (affiliate links). I use an expensive Novoflex adapter (link to my review of the Canon FD version) but the cheaper ones usually work well enough but you have a higher chance of getting a faulty one. For more information about adapters check out our extensive Guide to Adapters. For all ratings please read ABOUT LENS RATINGS to understand how I weight different aspects. 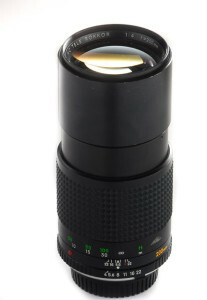 1/5: This lens good for very few applications and comes with serious defects. 2/5: This lens comes comes with noticeable limitations like very soft corners, very high CA and I would only recommend it for very special purposes. 3/5: This is a good lens which is capable of producing very good results but you should expect some compromise like low contrast and bad corners at the widest aperture and noticeably less sharp corners. 4/5: This is an excellent lens with very few faults, it will be very sharp from corner to corner, have good (but not perfect) CA correction and nice or even excellent bokeh. Check out my Tokina 2.5/90 Macro review for a detailed review of such a lens. 5/5: A truly remarkable lens: it must show excellent sharpness even wide open, chromatic aberrations of every kind must reduced to a very low level, bokeh must be very good and mechanically it must be without fault as well. There are very few lenses which could earn this rating, think of a Zeiss Otus or CaNikons Super teles. Artaphot.ch – most content is in German but there are a few well documented tests of Minolta glass. Thanks a lot for all your work and sweet posts. Your photo are amazing and you make camera and lens shine! I generally agree with your rating, However, my 135 2.8 gives much better resultas. Also, I wonder if you tried others copies of the MD35-70 3.5. I have two copies of the last version of this lens and both tend to have better results at the long end (70mm) on my A7 (i also tried the first version and it was slightly less sharp on APS-C). Also, I find its bokeh very smooth wide open (but this may be personal). About the versions: I am pretty sure that there is only one version of the MC 1.4/50. I have added some images which should clarify which lens I am using. I will reshoot my 2.8/135 test tomorrow and use it for my next photo walk, but I think the 2.5/100 is a better lens. Do you have any images from the 3.5/35-70? @70mm? Thanks for adding pictures of your lens. You are right, there is just one MC 50 1.4. I was thinking to the MD versions of this lens. I will do test shot today (I have had a full frame for only one month, I was with a NEX-6 before). I will try to provide you pictures from MD 35-70, MC 100 2.5 et MC 135 2.8. Concerning the adaptor, I have both a metabones and a no name from ebay. Funny enought but my MD lenses perform best with the metabones while most of my MC lenses (notably the MC 50 1.4, MC 100 2.5 and MC 135 2.8) are better with the noname adaptor, notably close or at the infinite and wide open. 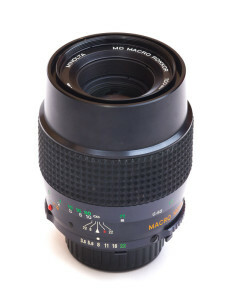 An other gem in the Minolta MF lens is the MD/MC Macro 50 f3.5. Awefull at 3.5, it is impressive starting at 5.6 . Sharpness is on par or better than my MD 100 4 but color rendering and bokeh are better (more contrast and saturation). Did you ever try this lens ? if not, you really should. I am looking forward to your results ;-). I had the Minolta 3.5/50 Macro for quite some time but I didn’t use it much so I sold it which I regret now. Added it to the wanted list ;-). You like the Minolta 100mm f/2.5 better than the 135mm f/2.8. 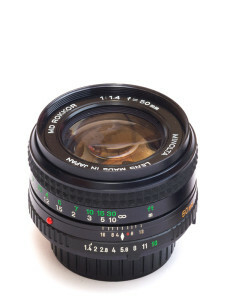 Do you have any opinion on the old Contax-G 135mm f/2.8? I am looking for a solidly built ~135mm lens for rock climbing photography. Sharpness is important to me, but not so much distortion or CA. It is the first time I produce such a comparison so any advices criticst are very welcome (I already know that this test is helpless to evaluate corners). All shot were done within 1 h. I set iso to 100 and the aperture. the shutter speed was found automatically using the exposure mode “multi”. (as a side note, it is interesting to note that all shot based on legacy lenses are generally darker ! I used a tripod (fotopro c5i) and an IR remote (but tripod was slightly moved when I changed lens). All shots are manual focus in the center (crop 1) at the widest aperture (only the 100 mm was refocused going from f\2.5 to f\4 as I know it retrofocus). IBIS was set to off (I forgot to turn it off only for the Minolta AF 35-105). Last but not least, I did not remove the UV/skylight filters from any lens). – the FE 35 and FE 55 perform very well. I’m impressed by the results of both lens wide open. – the Minolta AF 35-105 s not that bad notably compared to the kit lens. I forgot but picture are base on RAW export from lightroom 5.7.1 with the default setting and no lens corrections. Great resource Phillip. Very helpful. 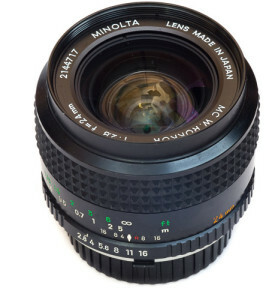 I am curious about the Minolta 20mm f2.8 and 21mm f2.8. I know the 20 is AF. They are both pretty cheap compared to some of the highly regarded alt wides out there (zuiko 21mm’s & 18mm, C/Y 21mm, …) and I know you like the FD 20mm. But, do you have any opinions on the above Minolta’s? there is als a MD 2.8/20 (non AF). IT is small and corners are quite decent BUT there is a very big drop in midzone sharpness. The FD 2.8/20 has very notable field curvature but more often than not that works in your favour and there is no sharpness drop like with the Minolta. I have been comparing my Minolta MD 50mm f/2 with my Minolta 50mm f/1.4 (I own 2 of these: one PG and one plain MD) and got really impressed by the performance of the f/2. The corners are better @f/2 and the center sharpness is indistinguishable @f/4. For a lens this lightweight and this cheap, it is astounding! I’ll test flare, but cannot expect anything worse than I have already experienced with the 1.4s. I too had both the lenses. I tested both the lenses at F2 (tripod). I felt that the subject on the image looked little bigger on F2 when compared to F1.4. I am not happy with the color produced by both the lenses. Skin tone looks bit yellowish. Do you have the same problem? it is not unusual that focal length is actually up to 10% shorter or longer than advertised. I don’t own a 1.4/50 so I can’t compare them. No issues with skin tones for me. The coating on some Minolta older lenses degrades to yellow tinting on some lenses. You can even see in eBay descriptions some that are listed as having a yellow tint due to coating aging. so far I haven’t noticed very big differences between adapters when it comes to image quality but today I use Novoflex adapters because they simply fit better. The MD 4/70-210 is an interesting lens and I might review it in the future but it is not very high ony my priority list. I just purchased an A7 and have owned the Minolta 70-210 f4 for years and have always appreciated its images. My question is what adapter do you use with this lens since it does not have a manual physical aperture setting on the lens itself. Any insights to the proper adapter for the Minolta lenses of this nature would be appreciated. Thanks! There are two versions of the lens, optically they are the same but you need different adapters to use them. The older one has “Minolta MD” (and other things) written on the front plate. The newer one has written “Minolta AF” on the front plate. To use the AF version you need this adapter: http://amzn.to/1PvYYHj. I suspect that you have the AF version since your lens doesn’t have an aperture ring. Thank your for your info. I purchased the LA-EA4 adaptor and thus far it has been great. Thought I would share several pictures taken with it and the F4 70-210mm and a couple of others taken with other Minolta Manual Focus Lenses ( PF55mm, MD24mm 2.8). I have a lot of samples in my Flickr Stream if you are interested. Well, Eazypix lists 292 Minolta lenses and I had to start somewhere. I think the more common lenses make a lot more sense because the exotic glass is super expensive and hard to get, personally I wouldn’t want to pay these prices. The more common lenses are available and affordable and I like to use them for my actual photography. I think I will review the 35 Shift and 2/135 at some point but it will take several more months. Yes, your reasoning makes sense. 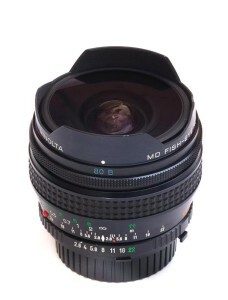 Why test the lenses, which are expensive, when finally the conclusion will just confirm that this is very good lenses? It is not only ridiculous, it is also useless. When you pay 2 – 3 thousand $$$ for a piece of glass, it is normal to expect an outstanding quality. No test will change anything about this reality. I think, that your website should continue testing only lenses, which have good potential but remain accessible to everyone. I can understand your reasoning but it is not like expensive lenses are without issues so there is a value in reviewing them. In the blog I cover whichever lenses I am curious about. Some of them are expensive others are cheap and I would find it less interesting to just cover the very affordable ones. Perhaps I have expressed myself badly, but for me always counts the best quality / price ratio. With lenses costing $ 500 or more this ratio decreases rapidly and sometimes the price exceeds the quality. Anyway, the optical quality is important, but it is not decisive in the final result. Each lens requires a specific approach. This reasoning is strictly personal. Some photographers prefer to pay the exorbitant prices hoping, that this will allow them to distinguish themselves from the others. Fortunately, experience shows that in most cases this is not true. Good work i encourage you to continue new reviews ! A little question: do you know where the name rokkor-x come from? I have different meanings, what is yours ? Quick question for you: are minolta easy to take apart and clean? 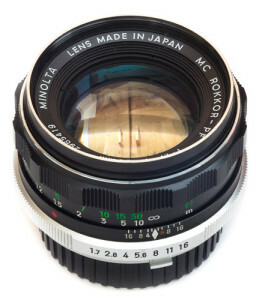 I know some lenses are, and they are quite a few good deals of dirty or fungus contaminated minoltas around. Do you have any experience with this and advice? haha thanks! I will try and let you know. Some people say, once you start having fungus, it s not worth it to trash your lens. Canon and Zeiss don t allow contaminated lens in their repair shop. Did you compare it to an older MD Rokkor? The weight loss from MD Rokkor to plain MD is indeed substancial. Dammn. Now I want one ;-). The only other MD 100 I’ve got is the F4 MD Macro Rokkor, which I’ve yet to try out. Before I got the macro, the only other 100mm I had that I really like is the OM 100/2 but for different reasons…and it’s a lot heavier. thanks for your thoughts, the OM 2/100 is a lens I would love to try but it is out of my budget at the moment. Optically I liked the MD 4/100 MAcro, mechanically less so. Wht is it that you don’t like about the Nikons on digital? Probably very subjective attitude against both Nikkors and Canon FDs, but I have tried a good number of each to form it. I find Nikkors have a cyan colour caste that I really dislike, but more importantly a rather “flat” 2 dimensional appearance. Similar “flatness” with the Canon FD lenses, though with them the colour is a muddy yellow…and they have very tight aperture rings that are hard to grasp. Both Nikkors and FDs also very often have wear/play in the focus causing the image to jump around. Rokinon 85mm F1.4 with Minolta MC Rokkor 85mm 1:1.7. Minolta is costing around $300+ in ebay whereas Rokinon is $269. Is it worth paying $300+ for Minolta? I would appreciate if you take pictures of head shots and compare the difference instead of nature shots. Any thoughts on the Rokkor 35 1.8? Hi & thanks for a another great article. I would just like to point out one thing. In the article, about Minolta MD lenses, I was very happy to see the info on the necessary adapters. Clicking on the link, I was in the middle of copying the info, so I knew what to order, when I realised that the link, had taken me to Canon lenses, not Minolta MD lenses. Do they share the same adapter ? If not, what is the correct name for the Sony A 7 II to Minolta MD Rokkor lenses ? I ask, due to all the problems on Amazon UK, where advertisers are saying their adapters fit the Sony Nex & A 7 series; Yet all the complaints are from Sony A 7 owners who had to send their adapters back, since they might fit the sony Nex, but due to tolerances, do not fit the A 7 series. I have just had to return an adapter that I paid 44 pound for, because the woman, in the very reputable shop, looked at the Sony A7 II to Minolta MD Rokkor description, and sent me a Sony A mount To Minolta MD adapter . So some In Depth adapter designations, so we know exactly what to order, would be greatly appreciated. thanks for the hint. You mean the linked Review of the Novoflex adapter review, right? I have modified that part to make it clearer. It seems there are adapters which work well on the a7 but don’t work on the a7II due to a tighter mount. I should probably write and adapter article, there is too much confusion about that topic. Hi, thanks for the site! It is great. You might want to check on the Minolta MD 45mm f2. It is dirty cheap, light, compact and in my opinion a great performer. Sharp from f2 with a nice bokeh! I don’t think I’ve posted on here yet. Wanted to say- thanks for your service. All of these MD reviews are extremely helpful and all in one location. Just great glass. Thank you for your comprehensive work and informative site. Do you have any experience with the MD 24-50mm f4? hands-on experience with it on the A7. I own a copy but it isn’t in the best condition. I only tested it at 24mm but there results were very weak outside of the center. Thanks, good to know. I better steer clear of it and buy small cheap primes for my pocket. I got the MD 50mm f2 on your recommendations and I love it in the city and for model + drawing shoots. I have a equation for you– how do you (in lightroom) making lens correction on 85mm minolta? is not on the list… there is only few of them Any suggestions ? A profil corrects therr things: lateral CA, Distortion and Vignetting. LR can correct CA automatically and I usually activated this option. Distortion is almost never a problem with the 85 so I don’t do anything about it. Whenever I find the vignetting bothersome then I correct it manually in LR but this happens very seldom. Thanks for such a great blog. After reading your reviews I’ve started using manual lenses with my A7 and so far I’m loving it! I’m wondering if you had any experience with Minolta MD Rokkor 28/2.8 before? Is it worth buying for a budget wide-angle lens? I own one and the performance is okayish but I would prefer a Olympus 3.5/28 any time. So maybe this is why you see a yellow cast? Philly I love your reviews and this whole blog. I love doing cinematography work but you got me hooked on these beautiful vintage lenses. I bought my first Minolta MD 28mm lens on my a7s and love it! Going to try and grab a Minolta macro and a portrait lens. Just learning but I love it! Besides eBay any other great communities to buy from? Hi: Does this one fit on af Sony fullframe A mount camera? I recently purchased a Canon vintage lens (50mm f1.4) for my Sony a6000 with an adapter. The hyperfocal distance doesn’t seem to change no matter which aperture I use or camera distance . For example , if I put two items about 4 inches apart (front and back) I can’t seem to take picture that shows both items clearly focused. As I change the aperture from f22 towards f1.4, it does allow more light but the DOF doesn’t change much. does it allow in as much light as you would expect? How far away from the camera are the two items 4 ins apart? If they are fairly close to the camera you won’t get them both sharp even at f22. What about Minolta MD 24-35mm 3.5??? What about Minolta MD 70-210 f4.-4.6 ??? No experience with it and I am not sure that it actually a Minolta design because it was released very late in 1992. Wouldn’t expect much. Phillip have you done any work using Vivitar Series 1 lens in the Minolta MD/MC ?? I really liked a couple of them on my old X700. I have had 3 S1 lenses for Minolta, 28 – 70 2.8, 70 – 210, 19 – 25 I think it is. All except the 19 – 25 are immense and heavy. I don’t think they are any better than the Minolta versions. Minolta made a 24 – 35 which was amazing. Hi Phillip, It seems that you have many articles to feature on your plate at this stage, but I am hoping that there will be an Olympus equivalent of this article. Olympus manual lenses are amazingly compact and light without sacrificing performance, perfect choices for our photographic aspiration. It is indeed my intention to create a list of Olympus OM lenses in 2017. In fact I already own and use about half a dozen of them but I want to have enough experience with them before creating a list. Great lens reviews Philip! 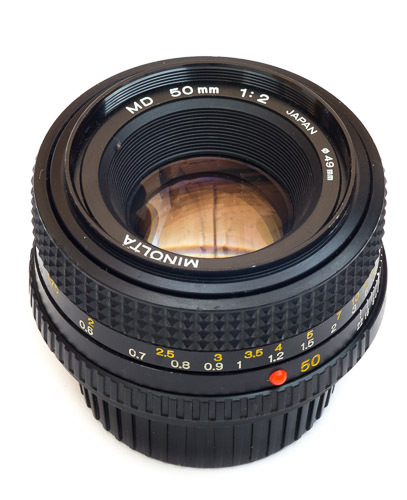 I own a Minolta AF 50mm F1.7 for my Dynax’s and it’s very good… however my favourite standard lens is a SMC Pentax 50mm F1.4. It’s 36 years old now but still gets used regularly and produces really sharp images. Thank you for making this list. I just inherited a Minolta X-370 and am just getting into manual photography. This has helped me greatly as I decide which lenses to try. Thanks again! What would also be interesting is to compare some of the existing Nikon and Canons to the older lenses. Are we really seeing improvements? Yesterday I’ve bought a Minolta Auto Rokkor-pf 55/2 in the second hand store for 4euro. 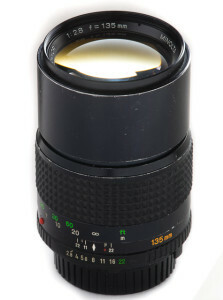 Unfortunately I can’t find anything about this lens is, only the period it was produced (with help of link on this site). And since my camera is away for repair for the next weeks I’m not able to test it as well. 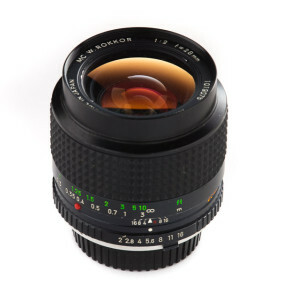 Have you ever used this lens, or do you have some more information about it? Thanks in advance! I have no experience with it but on digital you can use it with the same adapter as a MC or MD lens. Thank you! I you are interested I can share some sample pictures when my a7s is back from repair. I am less interested in the sharpness than in its bokeh and would appreciate some samples wide open. Until now I wasn’t able to create too nervous bokeh, overall bokeh is smooth. I’m also very happy about the way this lens renders the colors. Do you also like the bokeh? Thanks for this list! I’ve had experience with all three optical versions of the 50mm 1.4. I found the MC Rokkor PG (7/5) to be the sharpest across the frame by a large margin, but lacking some contrast at f/8 – its only weakness IMO. The plain MD (7/6) has the best contrast but is super soft wide open and corners aren’t excellent until f/8 – a poor performance. The MD Rokkor (7/5) didn’t impress me either but I think mine may have been defective – corners weren’t very sharp even at f/8, however center sharpness rivaled the PG at all apertures and had better contrast. I highly recommend that you re-visit the Minolta 135/2.8 lenses by finding the MD-III version from 1981. It’s the 5/5 lens version that you mention in your review of the 4/4 version. My tests seem to show it is extraordinary and the Minolta 300-s 2x TC is also extraordinary and when paired together they produce very acceptable results (at least for my standard of photography). In my opinion, this combination produces sufficient sharpness to be used as a travel lens combo, because it’s quite small and light. Thus, easy to pack. When combined with a Vivtar 1.5x TC, it produces a 135/2.8, 200/4.x, and 270/5.6. All very useful. 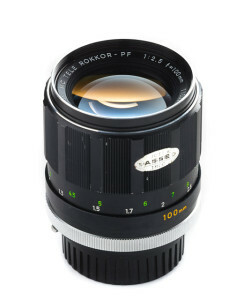 To identify the lens, I would suggest using the Swiss website below (it’s in German, but use Google Translate to convert it to your language of choice). I second the recommendation for the artaphot.ch web site. There are numerous image comparisons there using Sony A7 series cameras and featuring the Minolta lens options vs. Sony FE, Leica M, etc. On-site translations to English are ‘good enough’, I can attest. FYI. Celtic lenses were the budget line from Minolta. They are actually pretty rare here in Europe so I have never handled one but as you I haven’t heard anything good about them. I really loved reading all of this Minolta stuff and recommendations. I recently acquired a lot of MD lenses for a pair of x700 bodies and a few MC lenses to go with SRT 101 and 102. Anxious to try out mirrorless with the MD lenses. Thank everyone for all the commets and effort. i have a bunch of nice minolta lenses i shoot film with. my next major purchase will be a sony a7. my question is how good is the electronic shutter? taking pictures of a fan spinning, for example, does it ever bend the fan blades? my digital is a pentax q7 and when using the electronic shutter it will roll from top to bottom ditorting vertical lines on anything unless using a tripod. Since only the first shutter curtain is electronic I have never seen any rolling shutter taking picture. do you get good images of moving subjects with your sony a7 and manual lenses? cool. your site has been very helpful. thanks for putting so much work into it. Enjoy your site immensely Phillip. As a Pentax user for almost 50 years, I’ve started digging out my old film bodies to begin shooting film again. I happened upon a Minolta SRT 201 with a like new Kiron 2.8 105 Macro attached in the bargain aisle in a local shop for $5. I had also found earlier a 58 mm MC Rokkor in the same pile for an additional $5. Any suggestions or sites for a quick course in Minolta Land for a manual shooter? Thanks! Have you had a chance to try the MC 50mm f2? How does sharpness and bokeh compare to the lenses above? Thank you sincerely for sharing the results of your extensive research with us. I found it very helpful and every time a new mirrorless camera comes out, I reconsider the possibility of putting my three Minolta MD Rokkor prime lenses (24mm f2.8, 35mm f2.8 and 50mm f1.4 respectively) to the test on a full-frame digital camera. Having already done something akin to this several years ago, in the early days of micro four thirds, I must say that I agree with your broad assessments of these three lenses. For general use, I believe all of them to be fairly mediocre and the field curvature issue was very apparent to me on the widest of the three espcially. The only thing they all have in their favour in my opinion is the colour rendition, which made even the results from my Panasonic Lumix G1 look quite interesting at times. Sadly, these lenses have had their day and it was a very long time ago. So I will not be investing in the Sony system in the foreseeable future after all. But you have helped me a great deal in reaching this decision and so thank you once again. How about the 75-150 1:4? Great website with very useful tips! 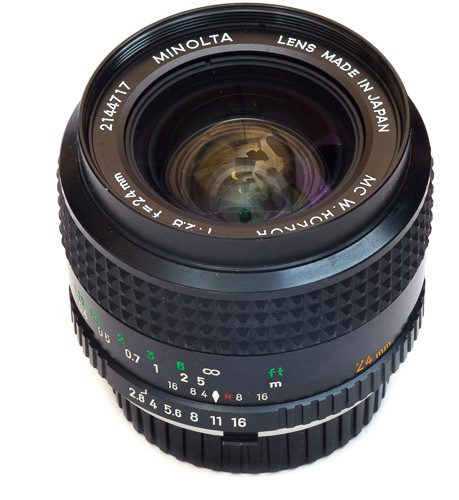 I wondered if you have any experience with the Minolta MD 28mm f/3.5? 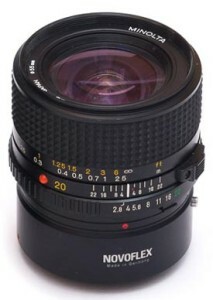 I found a comparison of several Minolta 28mm lenses on the internet where the f/3.5 did very good resolution wise. I remember also a French website with similar results. This is an older version of the 28/3.5, I’m not sure if they are optically similar. I have no experience with it beyond those tests. Bokeh just a tool. “Good bokeh” is nothing more than bokeh you like for a particular image. You are right, could have been more precise. Here good means smooth. 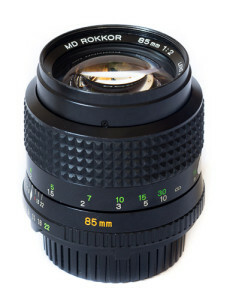 Why do you rate the Minolta MD Macro Rokkor 100mm 1:4 higher than the Minolta MC Rokkor 100mm 1:2.5 ? Because in my testing it was sharper. Thank you for your great tests! 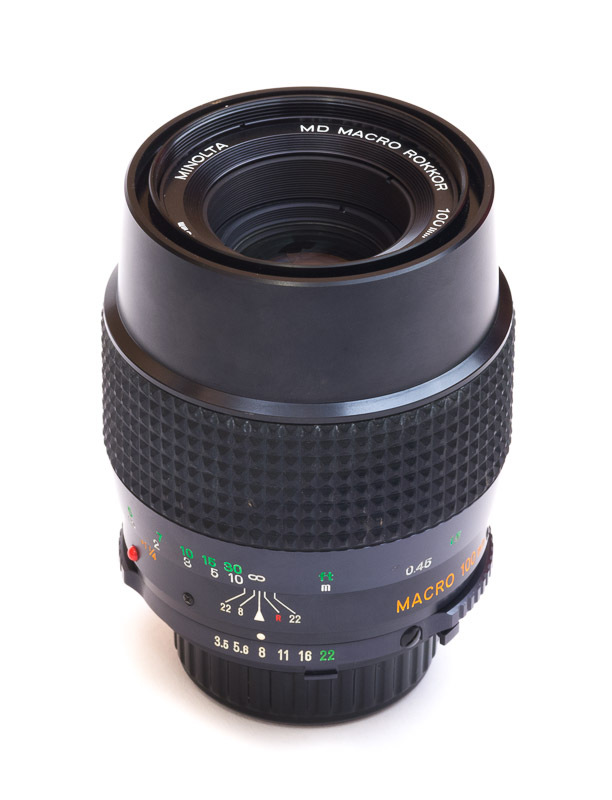 I am looking at two reputative mc 35 1.8 and md 70-210 f4 lens. I am wondering if you have come across these two lenses and if you know how good they are (if any). I have reviewed the 1.8/35. The 4/70-210 is a solid lens. No more, no less. There are many different versions which makes it hard to answer your question. The youngest MC has the same optics as the MD Rokkor. Is there a way of telling the different versions, I found something on your webpage somewhere but it may have been on the 100mm rather than the 135mm. first of all, thanks for your amazing work, especially with this list. Would you care to review the Minolta MD 35 – 105 (latest version with macro mode)? My copy is my favorite lens and I believe it is an outstanding vintage zoom. I would love to see your professional review of it and how it competes with its contemporaries, especially all these primes. Too little time I fear but I have heard good things about it. Hi Philip, thanks for these great reviews! I happen to have quite a lot of Minolta MD lenses. I see that you never mention the MD 50mm F3.5 Macro, which is considered by many sources to be one of the best in this focal length. I suspect that this reputation is quite overrated… Have you tried this lens? Also I discovered on your blog the MC 58mm and 55mm. Have you tried the 58mm 1.4 ? Do you have an idea of how the 58mm F1.4 and the 55mm F1.7 compare? Thanks for the insights! PS : There seems to be a missing link to your review of the MD 50mm F1.4. I have used the MC 3.5/50 which is supposed to have the same optics as the MD and as you suspect I found it no more than adequate. I have tried the MC 1.4/58 and found it to be weaker than the 1.2 at shared apertures. I would go for the 1.7/55. Fixed the MD 1.4/50 link. Hi Phil, I just wanted to say great work. I’ve been developing a taste for Minolta lenses and your notes have been invaluable. Keep it up. Firstly, thanks for a brilliant website – so much useful information, well presented! I have a 20mm/2.8 MD and have recently tested it looking for the midzome dip in sharpness you report with your copy. I do get noticable dip at f2.8, however at f4 it is gone, and stopping down further shows midzone is alays sharper than the corners, if only by a small amount. I’m shooting a subject a mile or so away, with it in the centre, then the edge, then the corner of the image, so that I can compare sharpness on the same subject. I did notice that magnification is greater at the edge and greater again at the corners, where the subject appears the same size as it does in the corner of a 24mm/2.8 MD. I have dropped the lens once myself, but it is solidly built and fortunately for me, landed on the metal body, so the glass is unmarked. It’s not brilliant for sharpness (my 24mm/2.8 MD is way better) – I would give it maybe 2.5/5 overall, but it is well built, small and light. The filter diameter being 55mm fits nicely with my other manual Minoltas, too. Thanks for your great reviews. 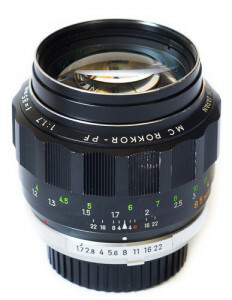 I noticed that the link to your MD Rokker 50mm f/1.4 review seems to be broken. I can still see it in the search results, but the link https://phillipreeve.net/blog/minolta-md-rokkor-50mm-11-4/ returns ‘Page Not Found’. Any ideas?